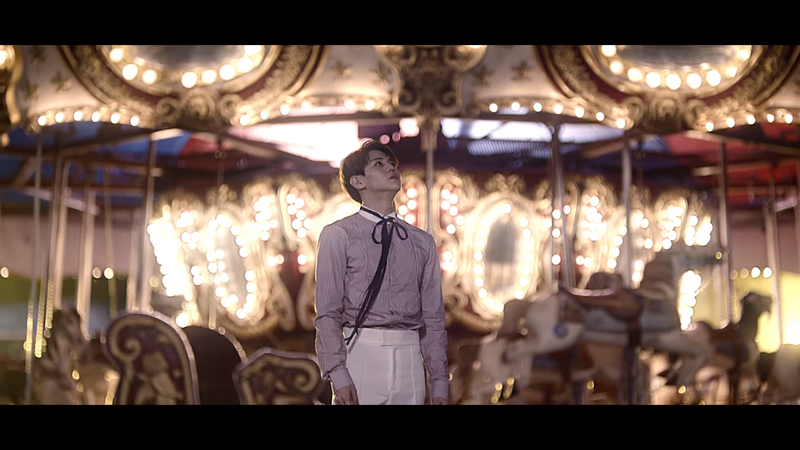 The meaning behind the song “Ribbon” is that it talk about how a guy that was in a relationship feels after the relationship ends. 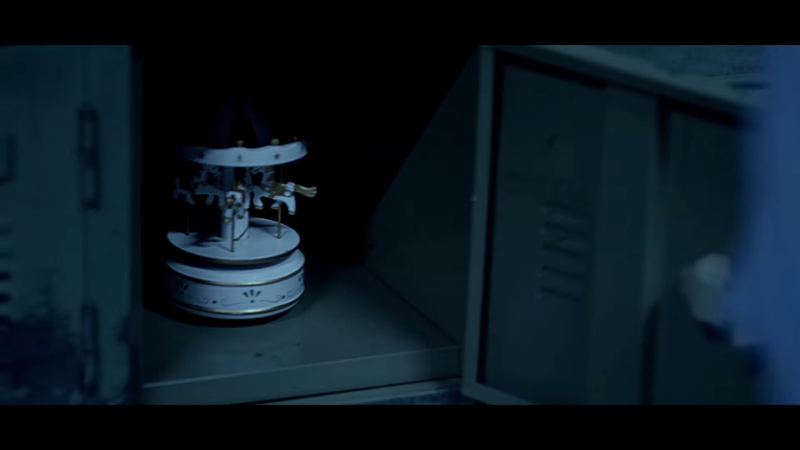 The though of the relationship ending never cross his mine. 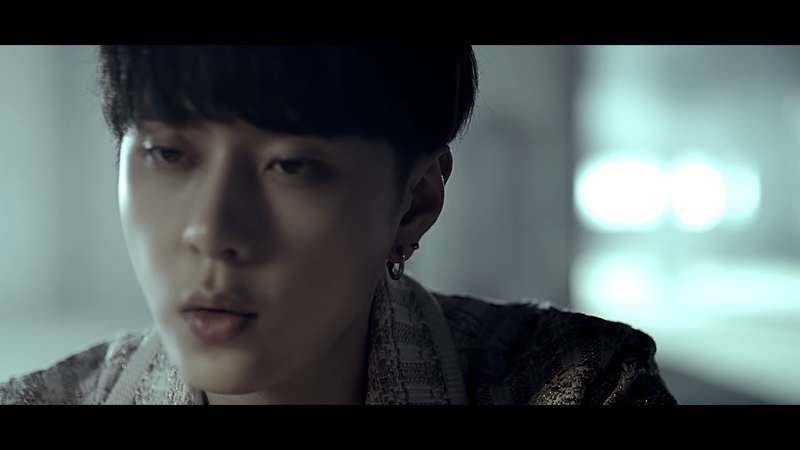 He is now blaming himself for how the relationship ended. 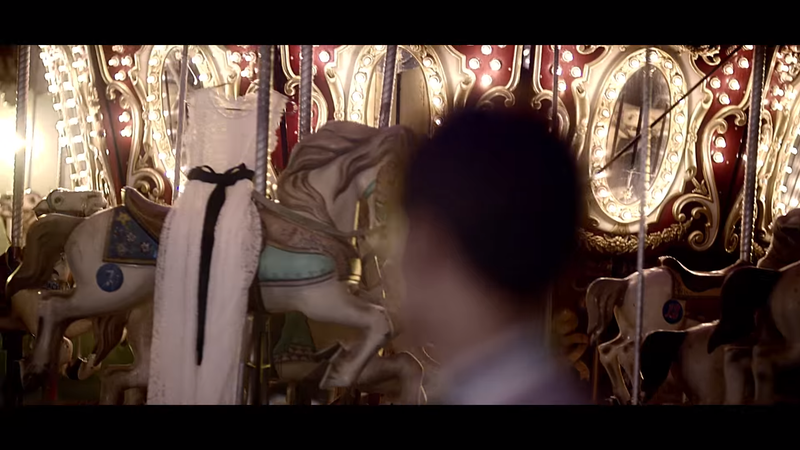 He want her back put he thinks that he is not good enough for her. 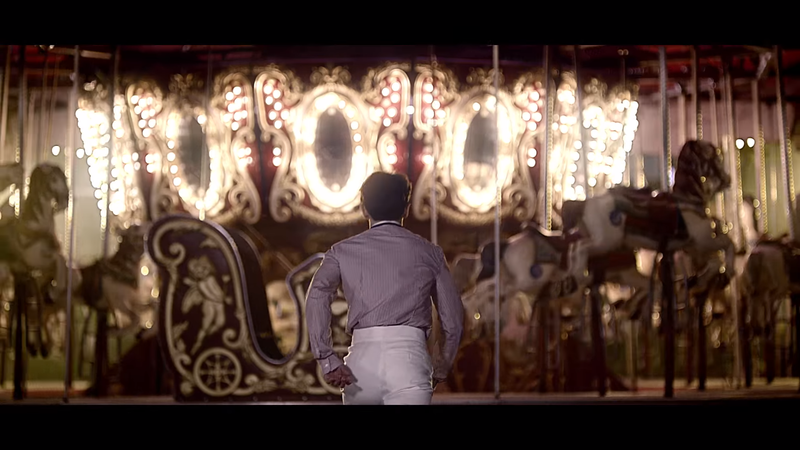 He is having a hard time accepting the end of the relationship. 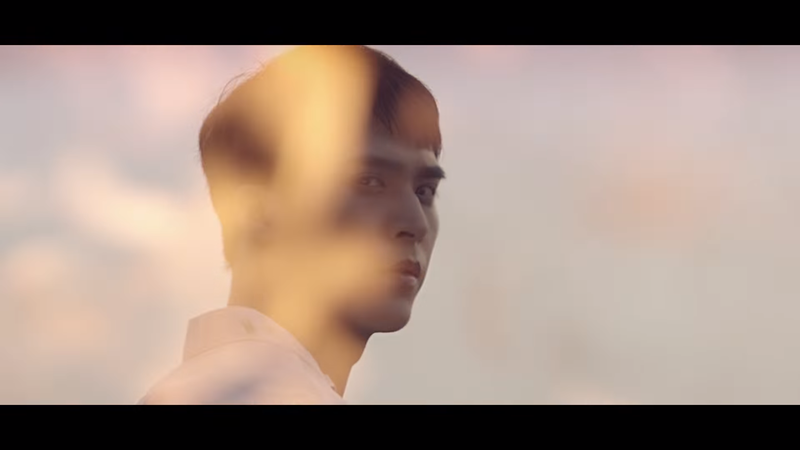 It also talk about how he wants to go back in time and change everything and not end the relationship so easily. 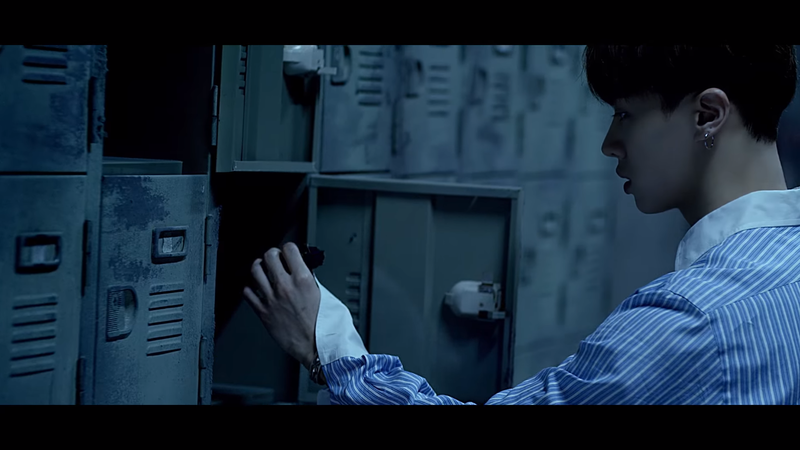 The lyric also mention how even how happy he try to be he is only lying to himself that deep inside he is actually sad and unhappy. 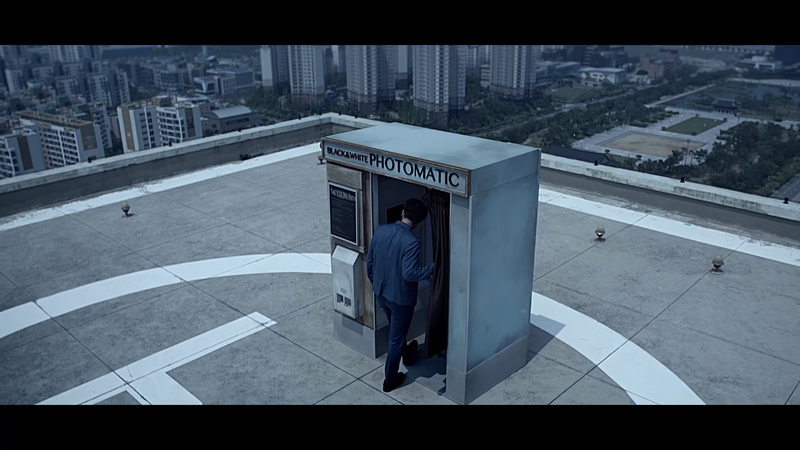 With the relationship at it end the guy is now empty. 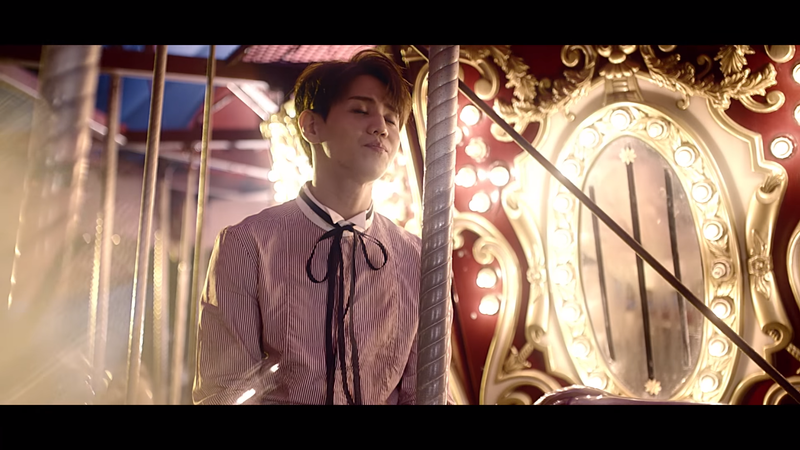 So the song is being compare to a ribbon and how no matter how tight you tie it, It easy becomes untie. 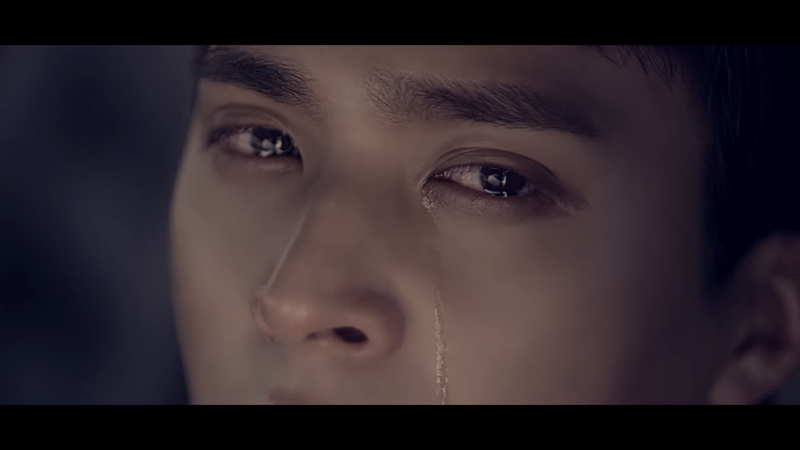 The lyric of the song have a emotional feel to it. 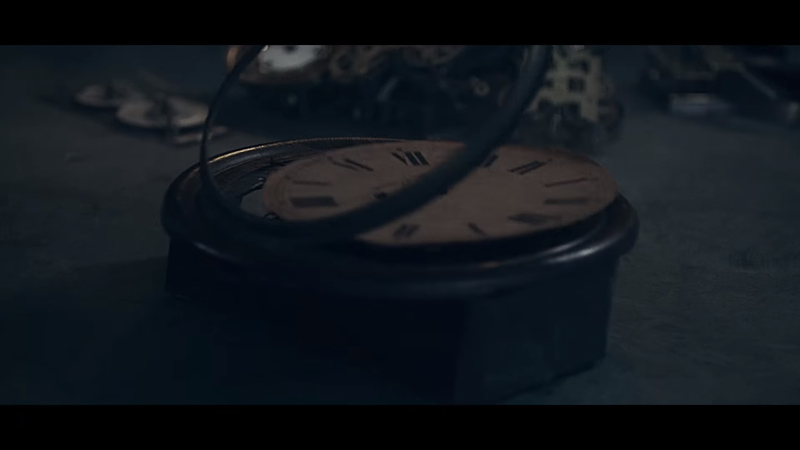 That make you have feel emotional as you hear it. 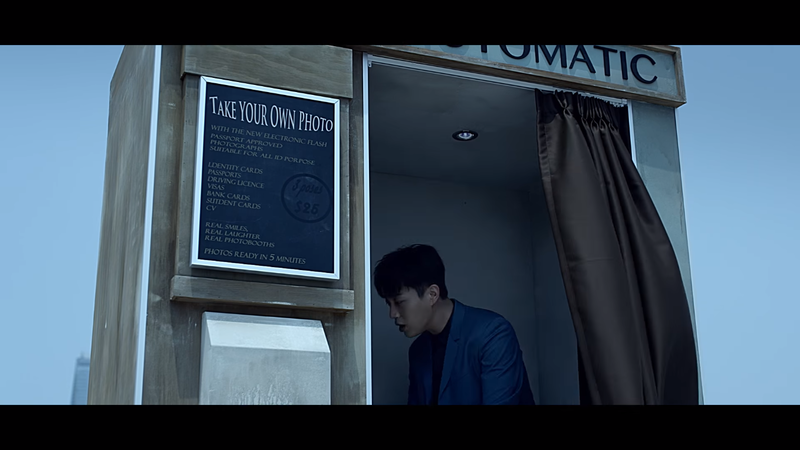 The MV meaning is pretty much close to the lyrics. 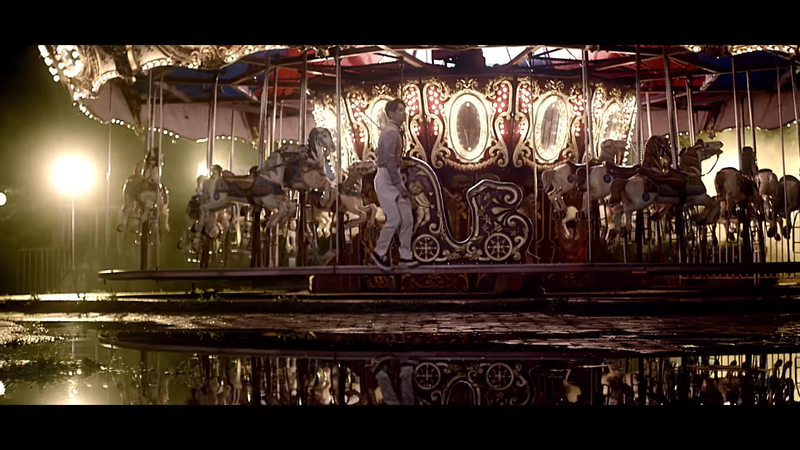 The scenes are also accurate if not the same as the lyric. 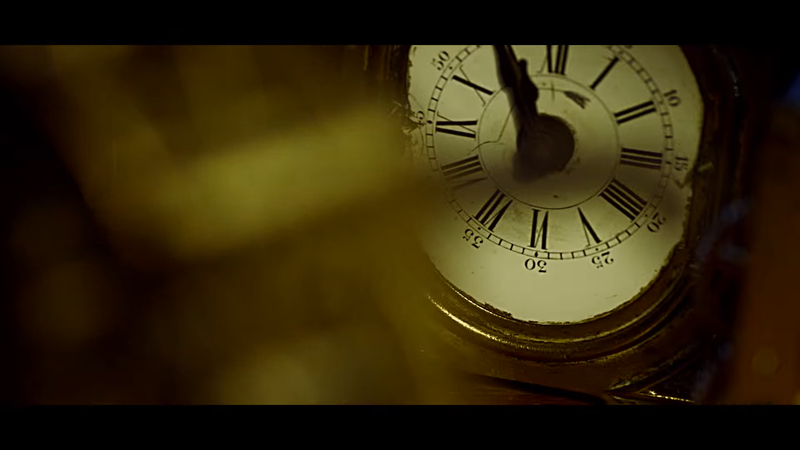 If you read the lyrics then the MV will become really easy to understand. 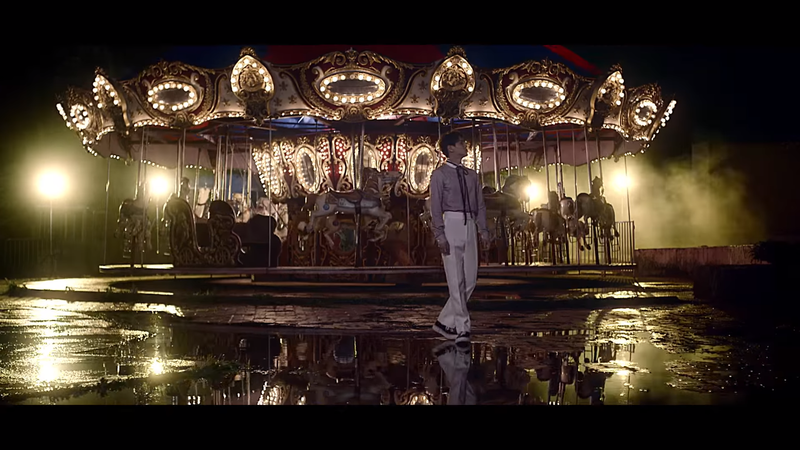 For those of you that still have to figure out the MV I will gladly tell you. 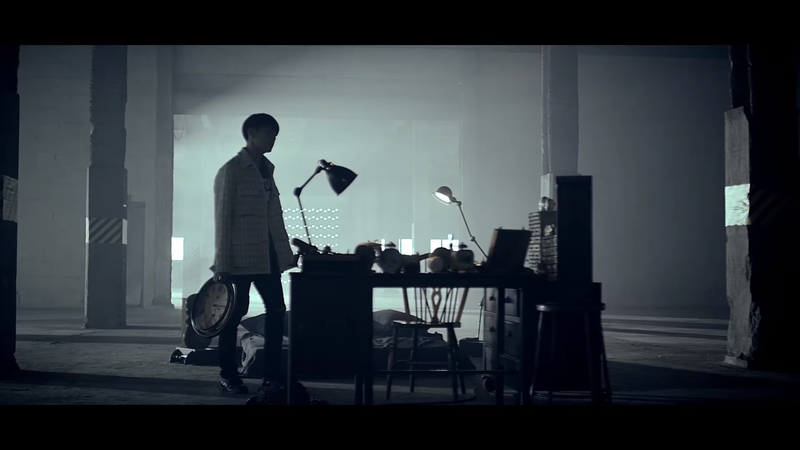 The MV start with all the member walking in a dark place with broken floor. 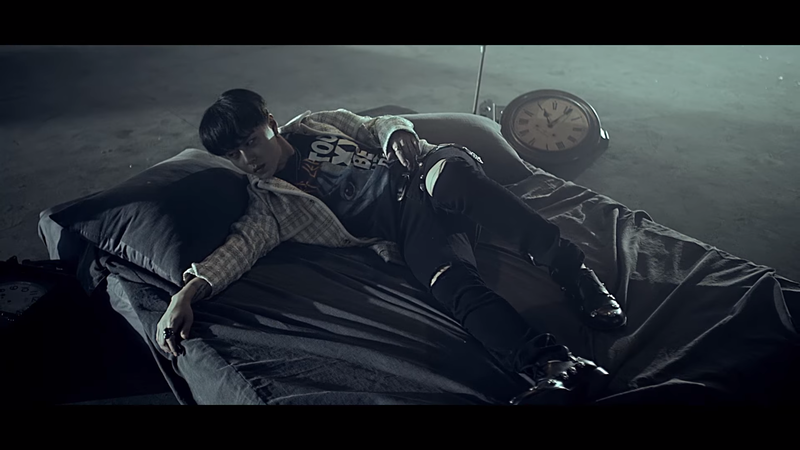 Then the MV transition to a scene of Junhyung caring a key in his back. 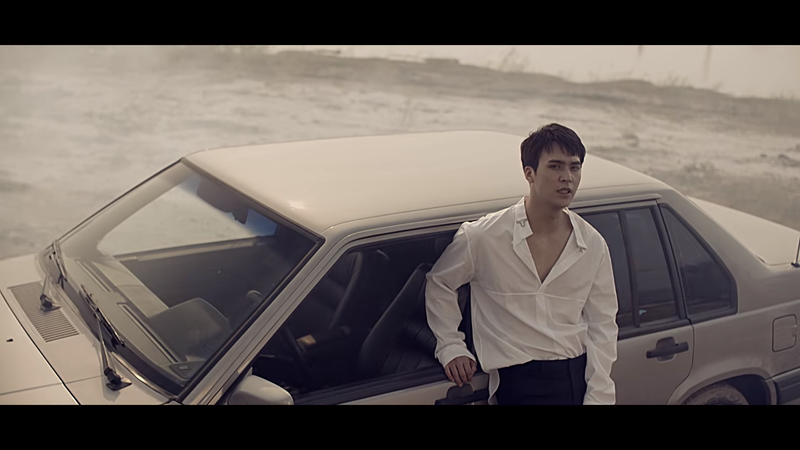 After watching the MV a few time this scene spoke to me. 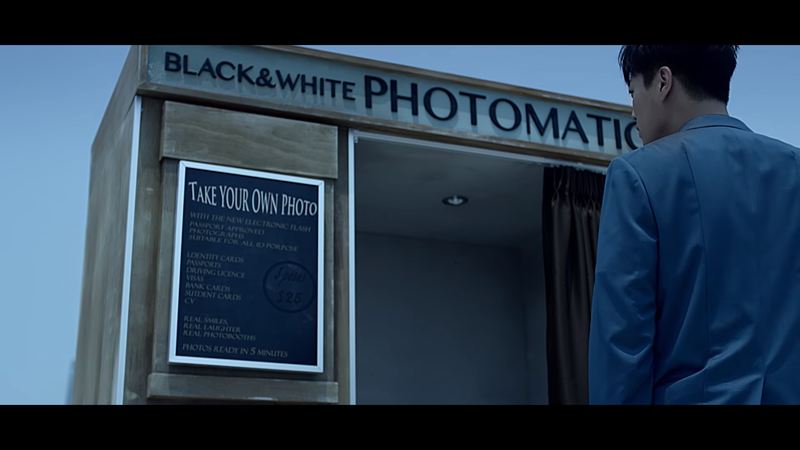 This scene made me think for a long time “Oh what does is the reason behind this scene?” Then it lead me to believe that the reason behind that special scene is to say that only he have the key to go forward or another way to take it is to say that only he have the key to save the relationship. 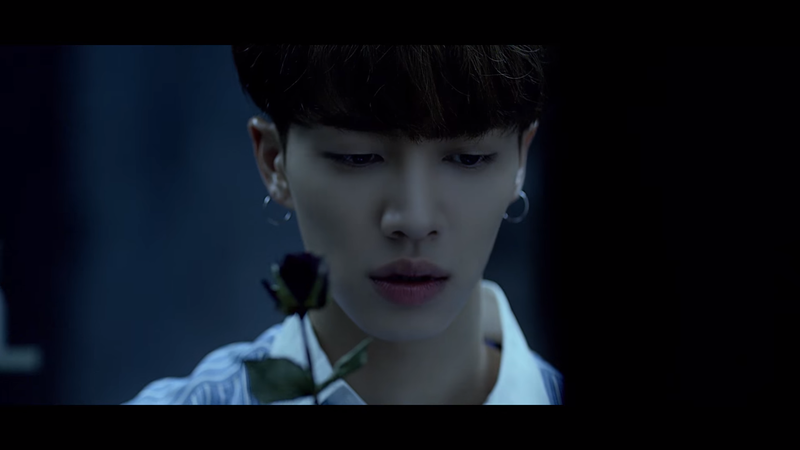 In the next scenario they show Gikwang in a what looks like an abandon subway station, there he look sad. 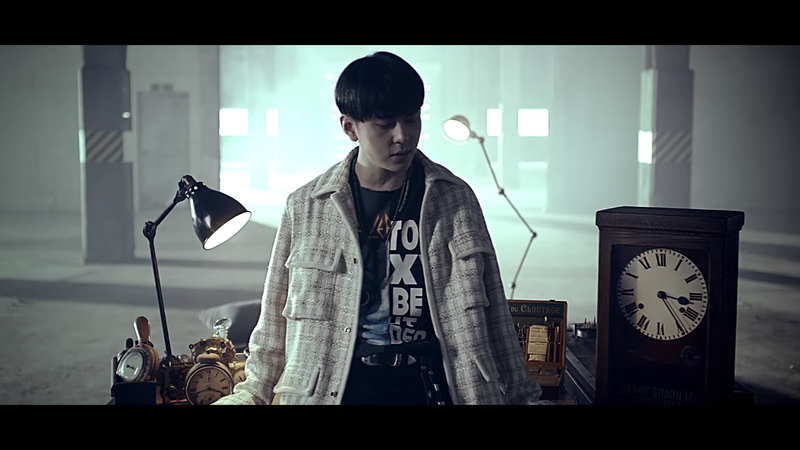 Then the scene transition back to Junhyung where angry he pick up an old clock and smash it into the floor, resulting into breaking the clock. 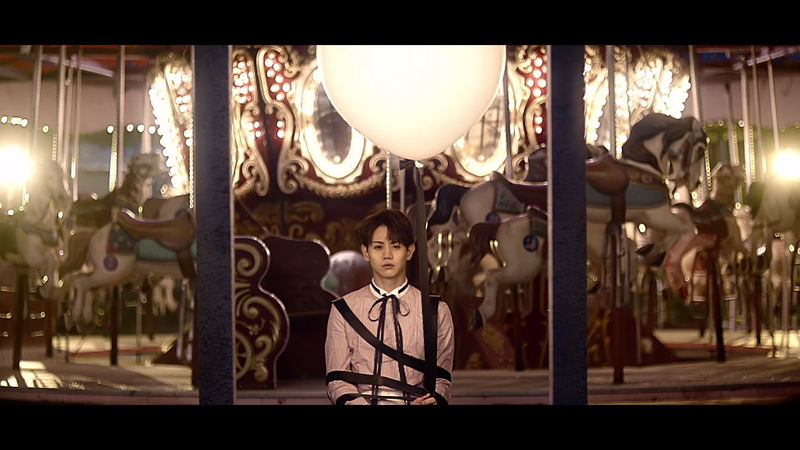 I believe that this scene is to represent just how unhappy he is about the way things ended. 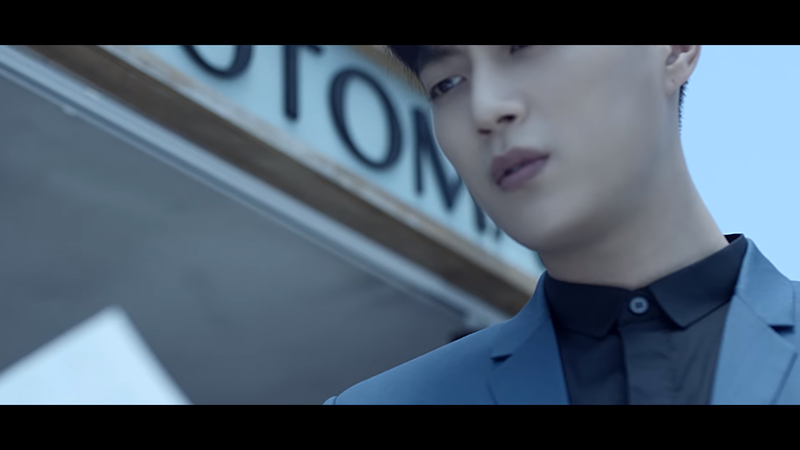 I also believe that he is angry thinking about the past. 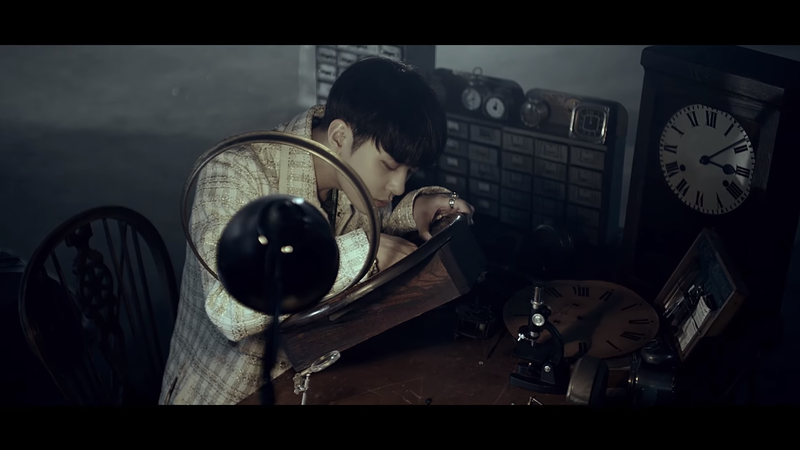 As the MV go on it shows Junhyung trying to fix the broken clock which lead me to believe that the meaning behind the clock was to show that that he wants to go back to the past and fix things that he regrets. 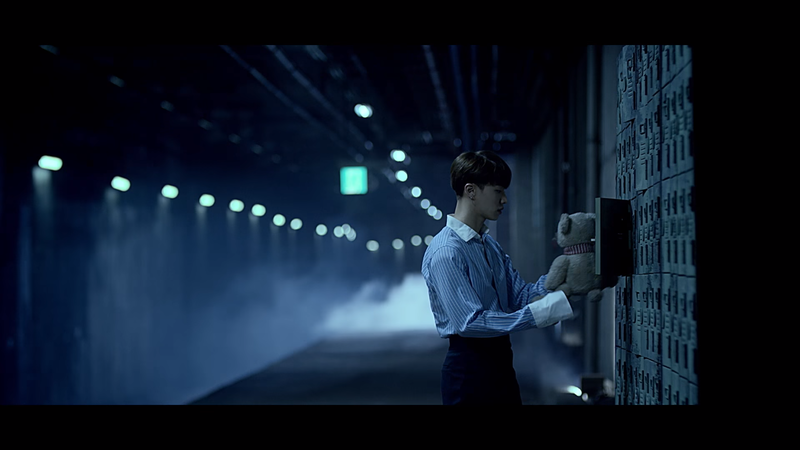 In Gikwang scenes they show him in a old abandoned subway looking inside the lockers in which have many items inside them. 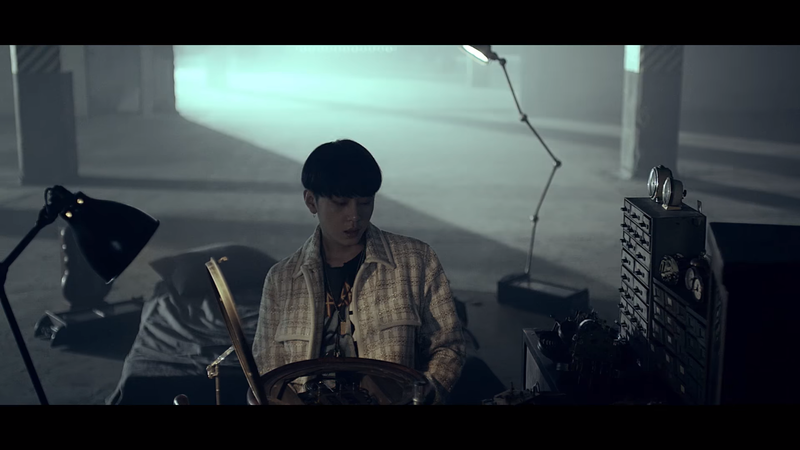 This scene was to show how he is remembering about his past relationship, the items are items from the past relationship which means that those are items that belong to his past lover. 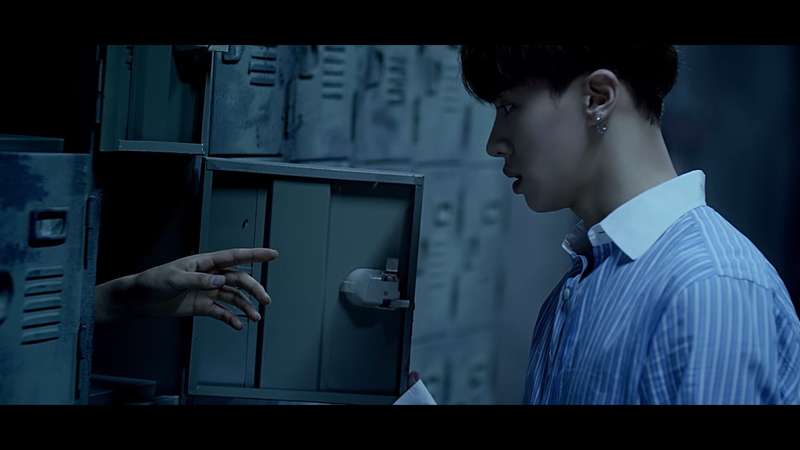 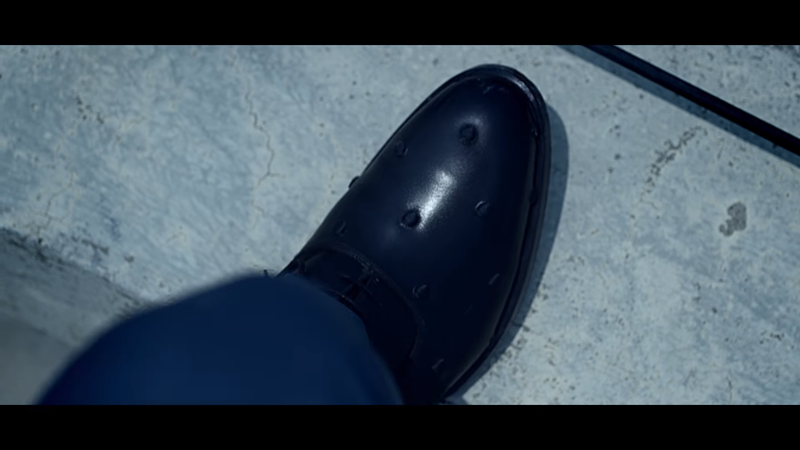 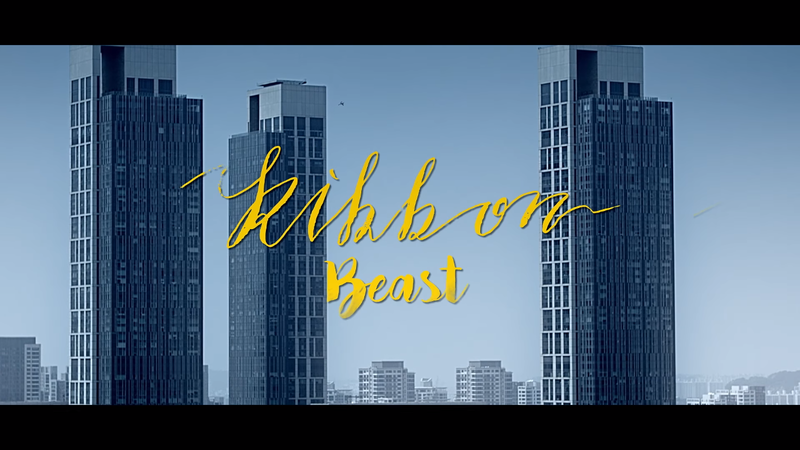 As the MV goes along it is shown that Gikwang finds a hand inside the lockers which hands him a witter rose (Black Rose). 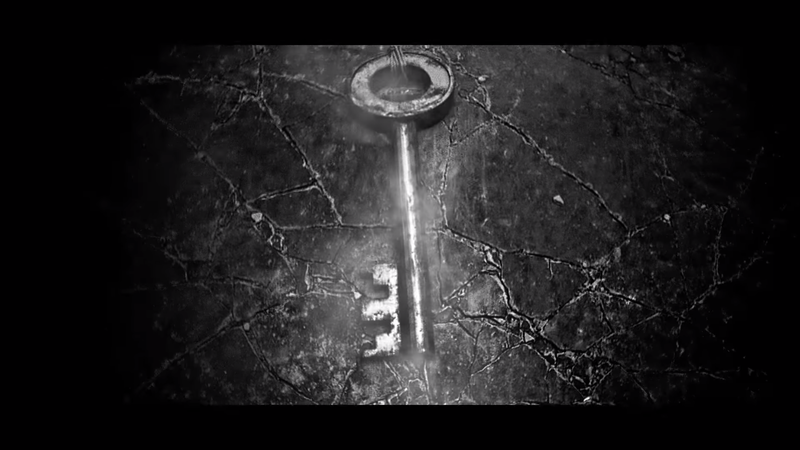 With the meaning of and end to a relationship and also the meaning of the rebirth of the beginning. 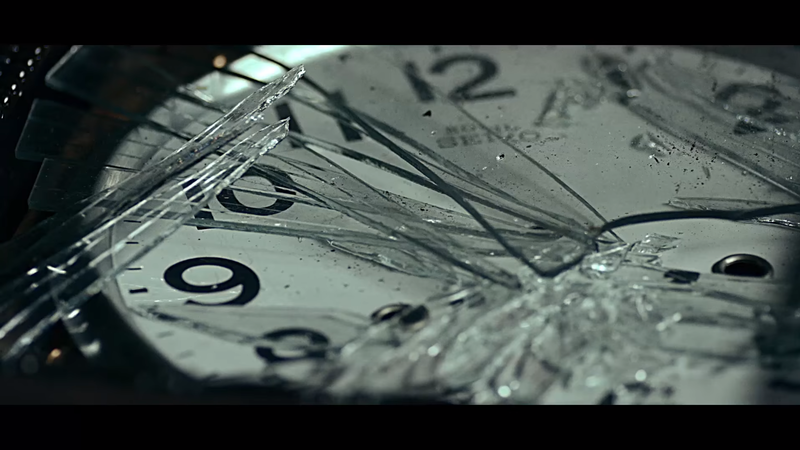 This represent the ending to the relationship. 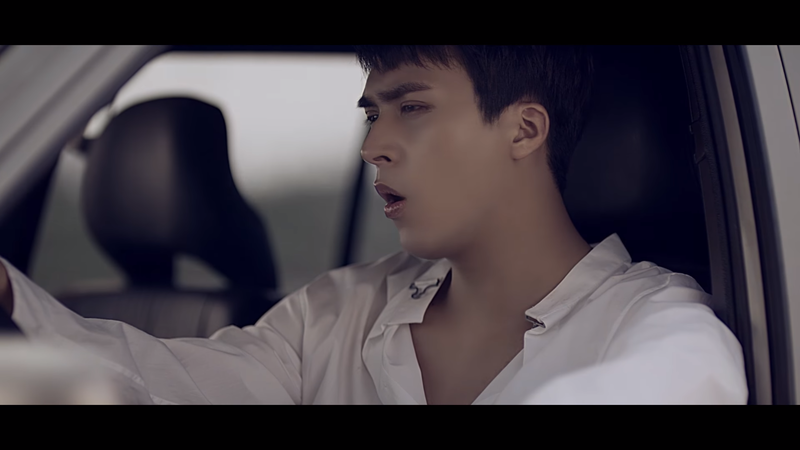 Then they show Dongwoon inside a car looking serious and sad at the same time. 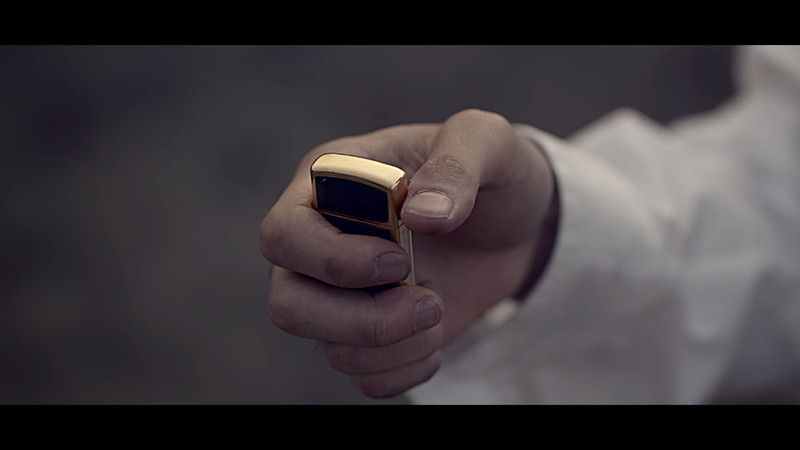 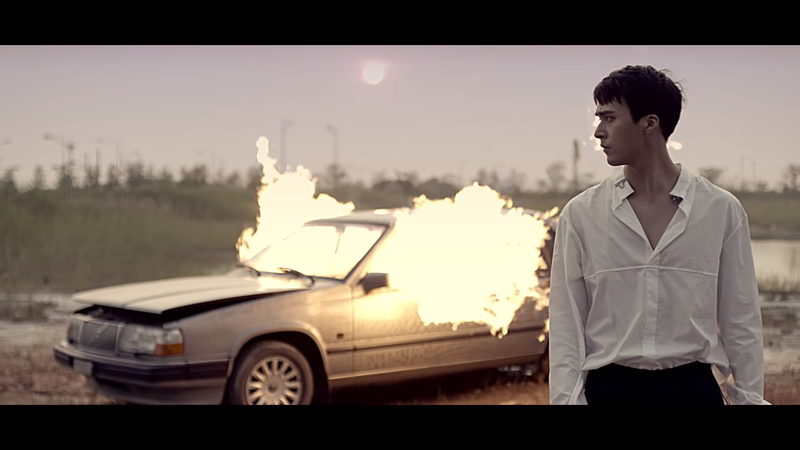 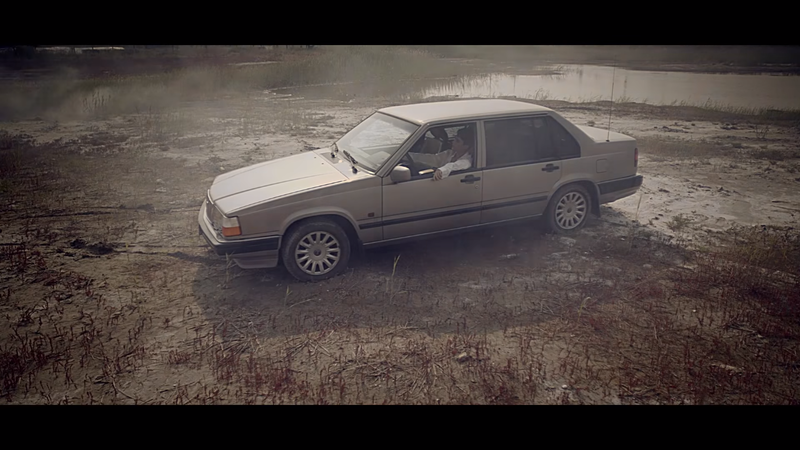 As the MV go alone it is shown that Dongwoon burns the car. 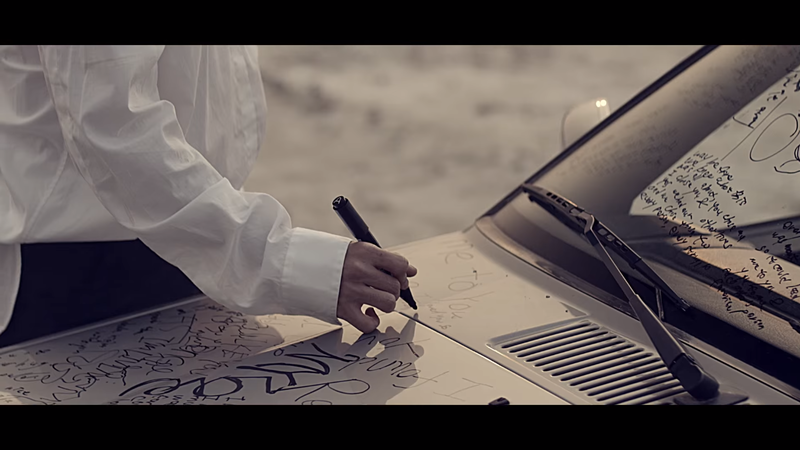 They show him writing in the car which lead me to believe that the car was a message from his past or that they are just his memories and that he want to throw everything away and not think about the past anymore. 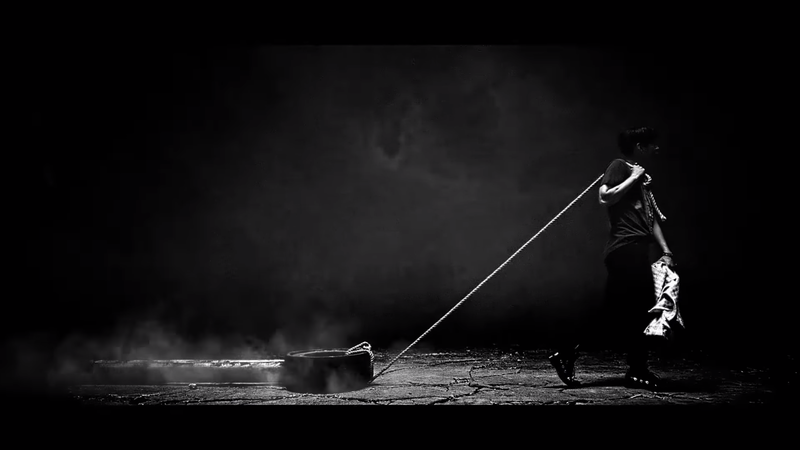 He want to let go of everything. 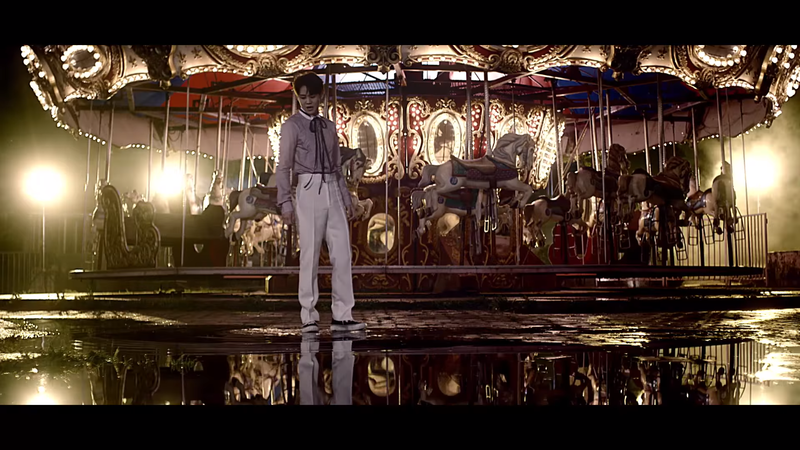 Then Yoseob is shown on a dark looking place with a carousel. 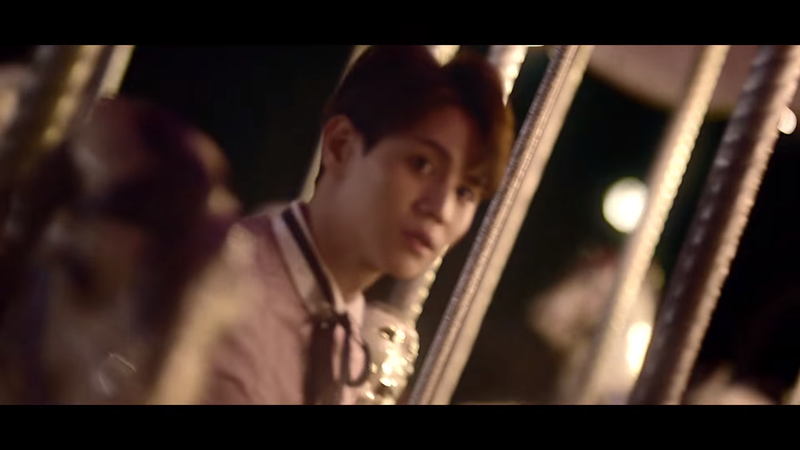 In the carousel Yoseob is seen looking for something or someone. 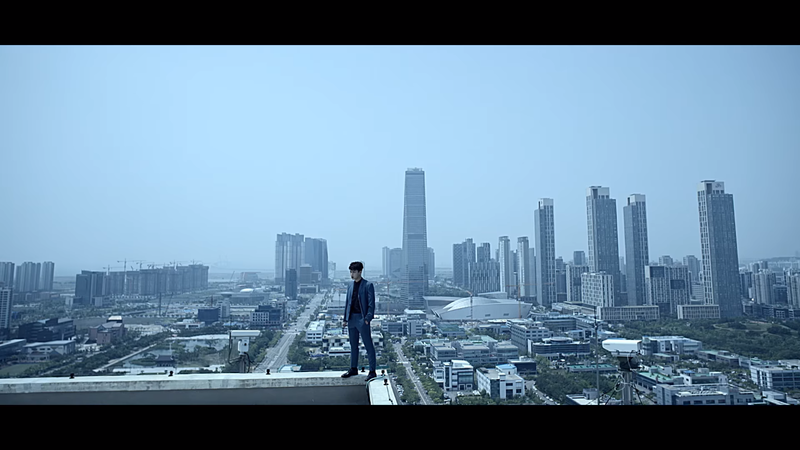 Which made me believe that the meaning behind it, is that this place represent the happy memories that they share of relationship. 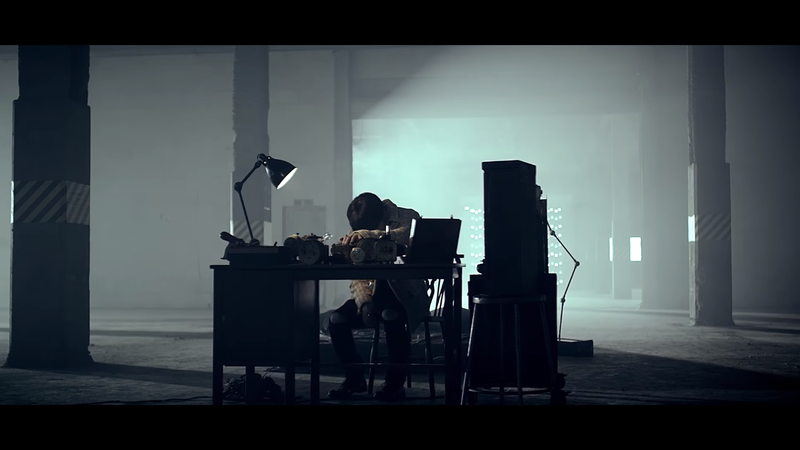 Now those memories have turn into darkness. 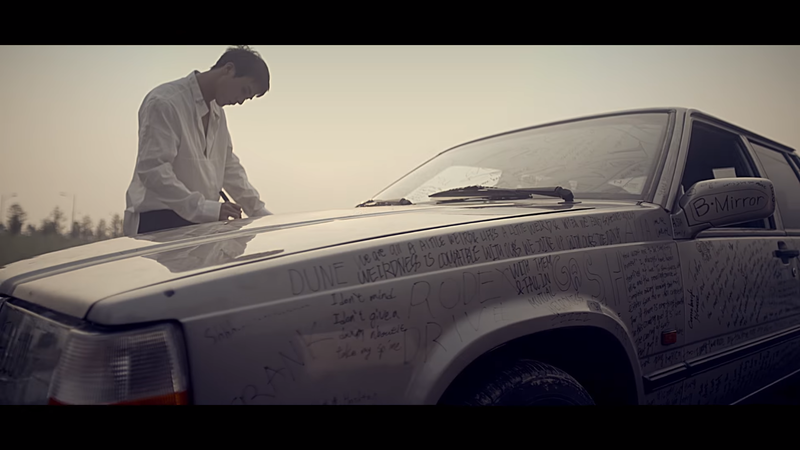 The happy memories are have now turn in to sad memories. 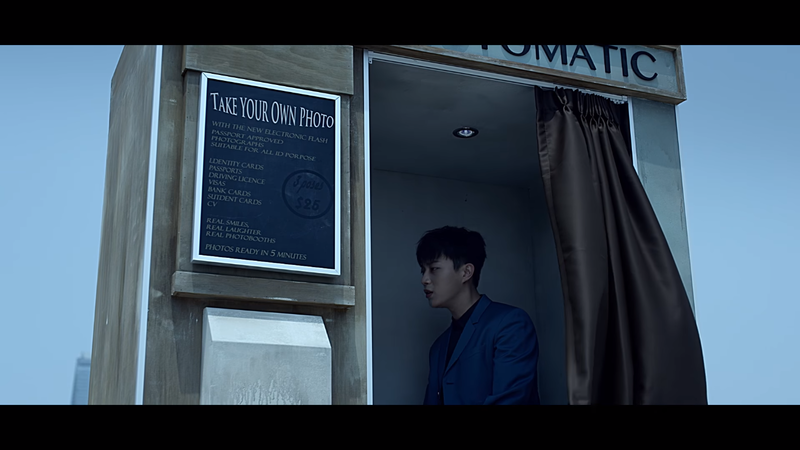 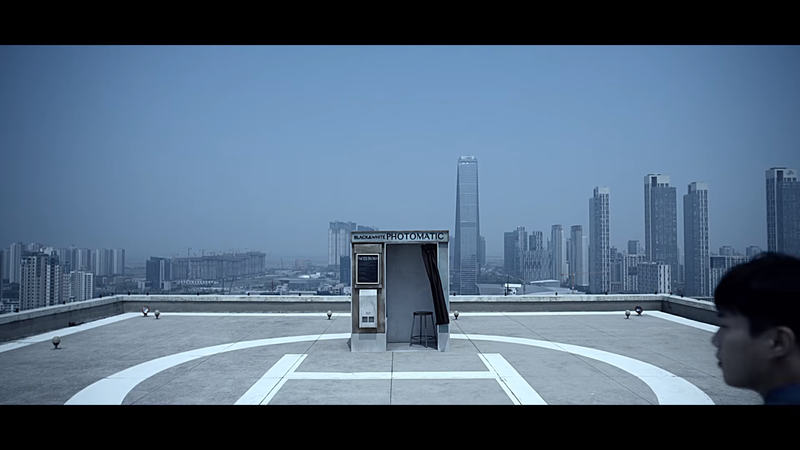 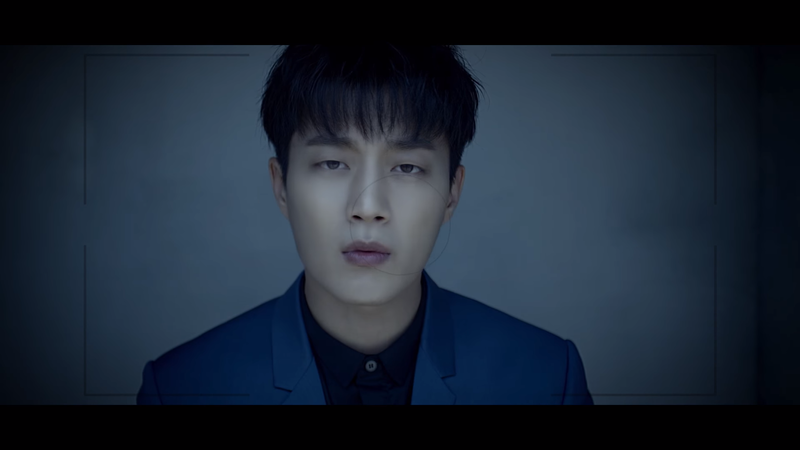 Doojoon is shown and empty roof with only a photo booth. 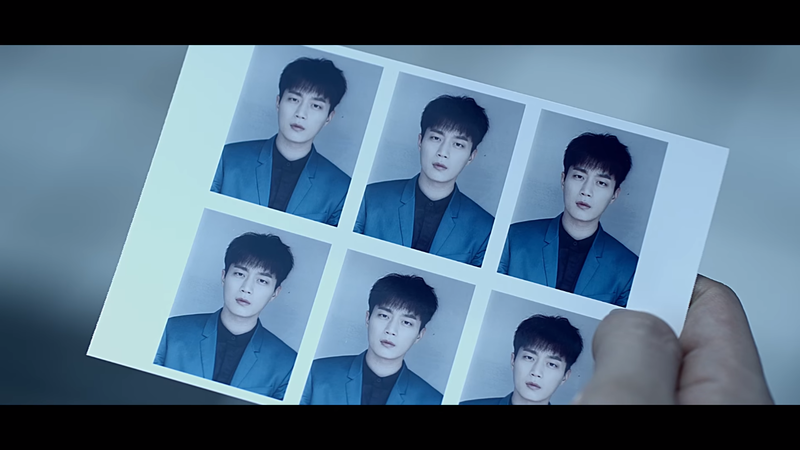 As the MV process it show Doojoon going inside the photo booth and taking a picture in which he was smiling happily but when he look at the picture it shows him looking gloomy and sad. 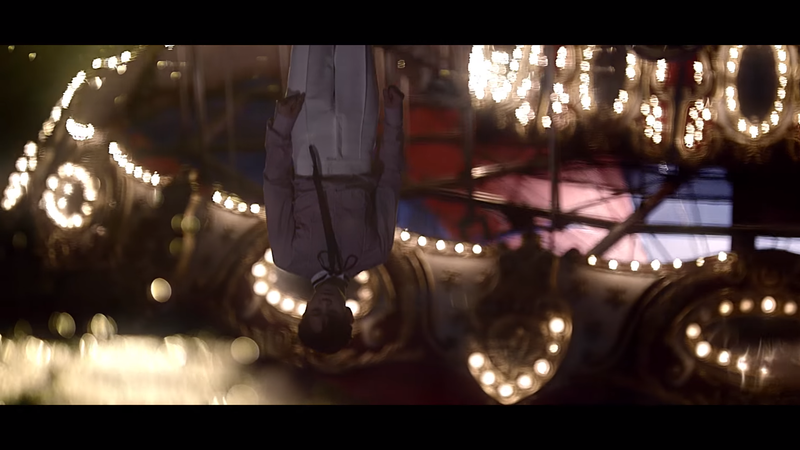 This made me think that this represent that he is just lying to himself by telling himself that he is happy and that he will be alright but deep inside is his hurt, sad and lonely and that he is not okay with the way thing ended in the relationship. 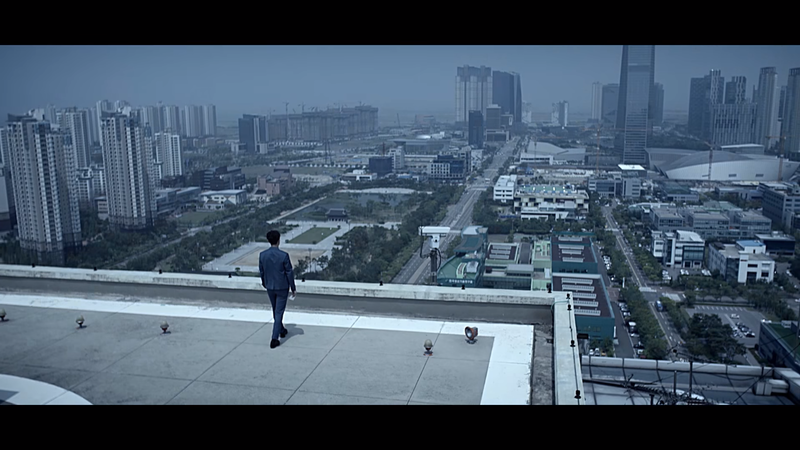 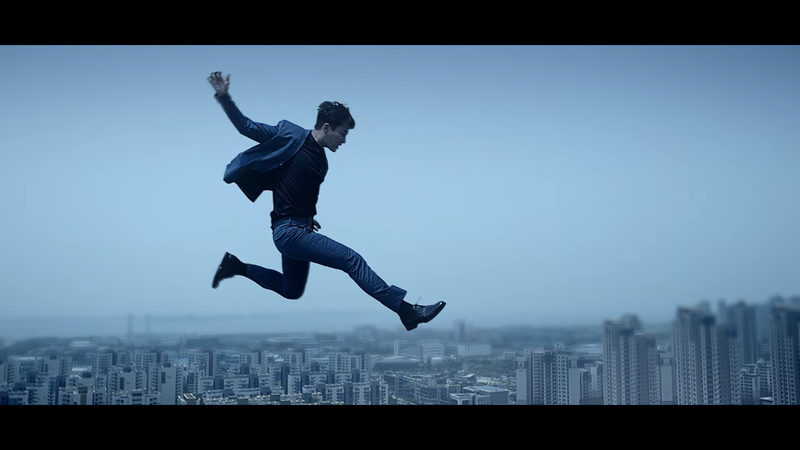 He not able to know what to do decide to runaway from everything. 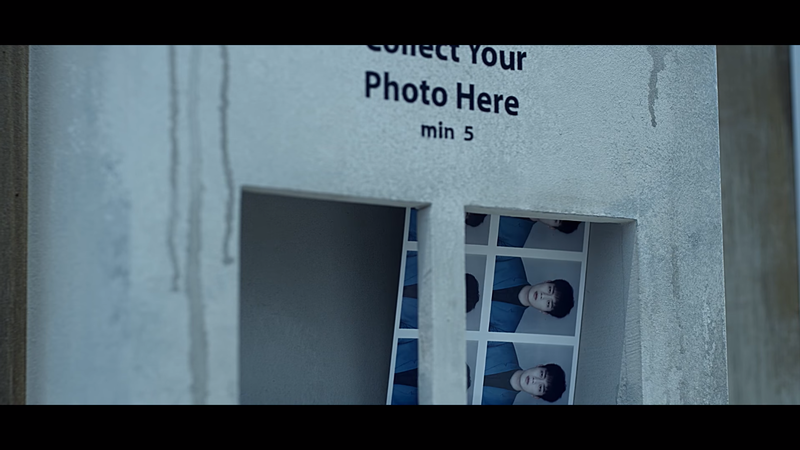 Overall the MV meaning is that by each member you get to see each part of a the outcome of a fall relationship. 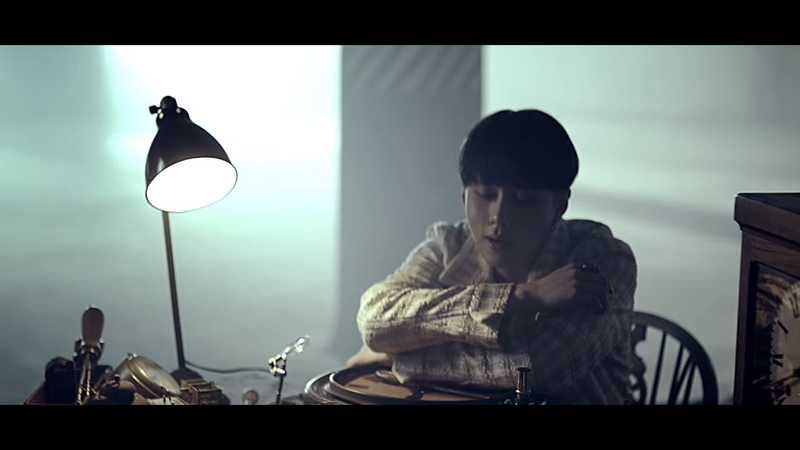 Junhyung being the one that wants to turn back time and go back to how things where in the past when they where together. 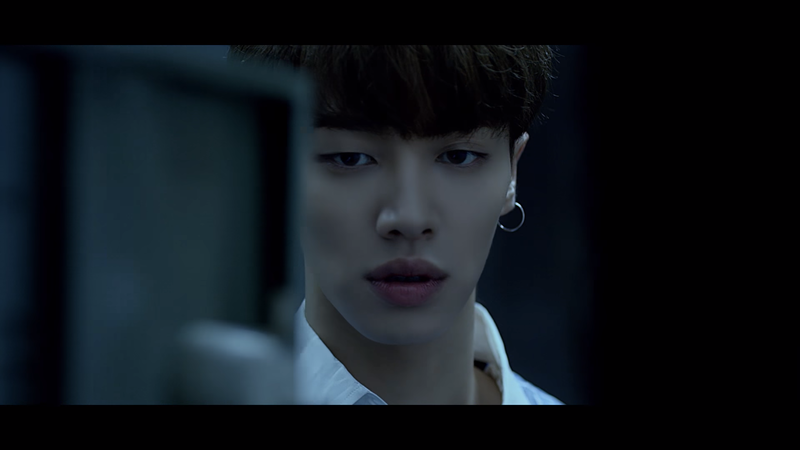 Gikwang being the memories that still lingers of the past. 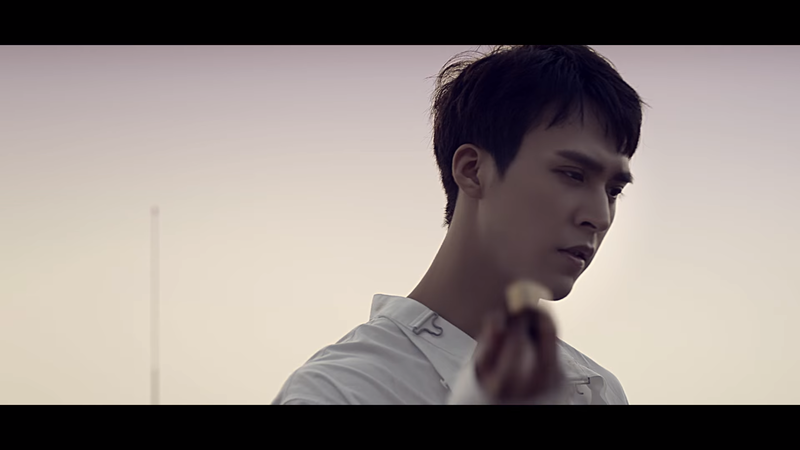 Dongwoon being the one that wants to let go of everything and let it burn. 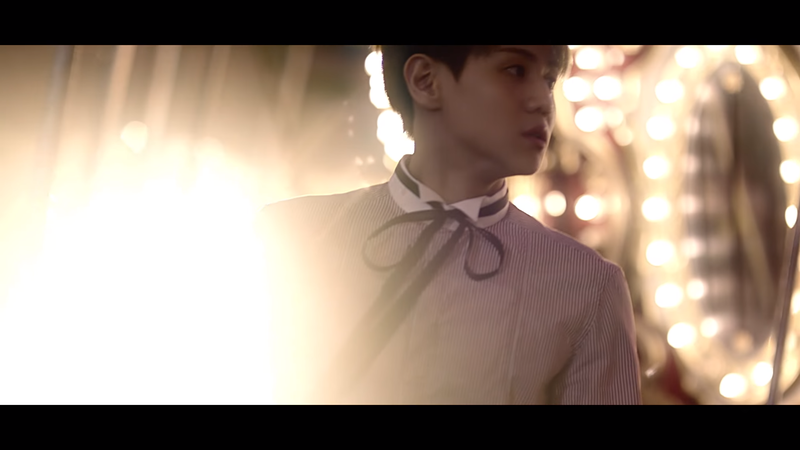 Yoseob being the happy memories or happy moment that now they spend together that have now turn into darkness. 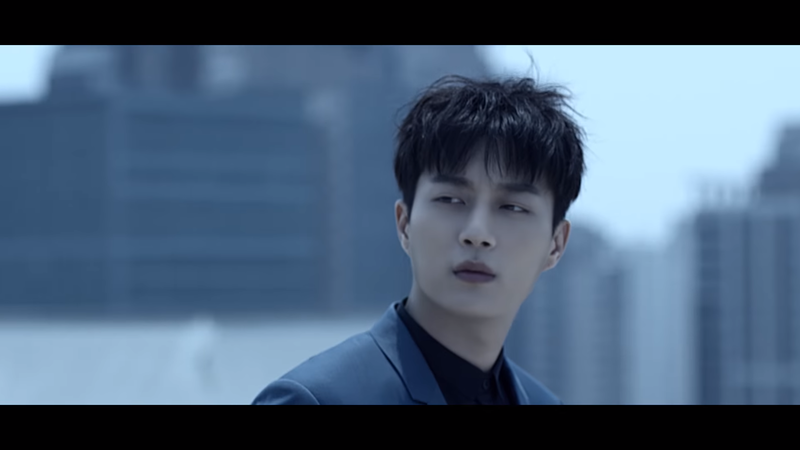 Last but not least we have Doojoon which he represent the presents self. 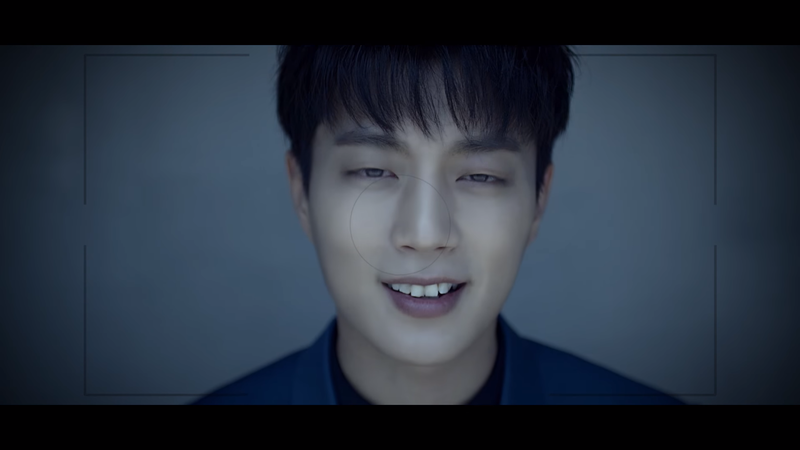 The one that want to pretend to be happy but deep inside he is actually sad and unhappy. 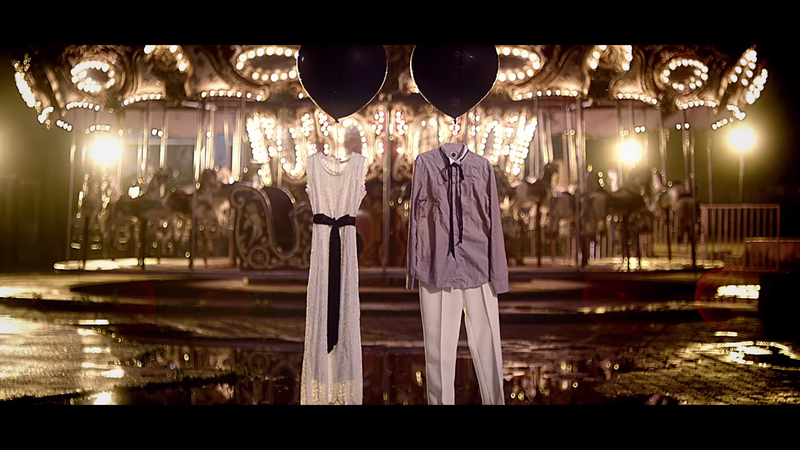 At the end they all represent the unhappiness of a end relationship. 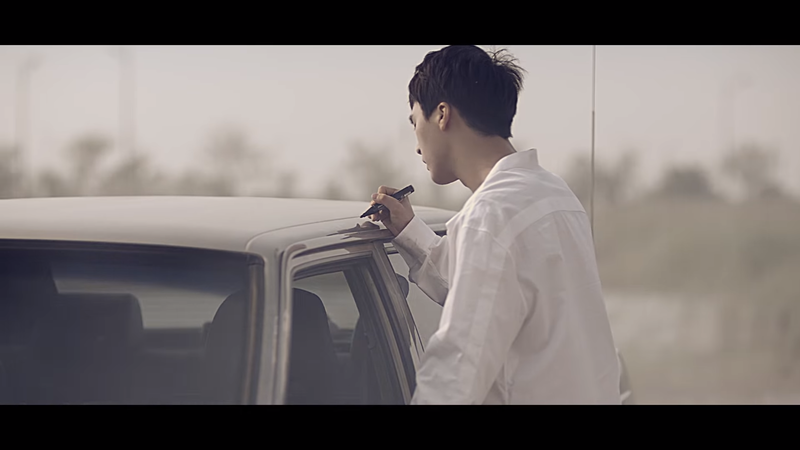 The MV take each part of the end relationship and apply it to each member. 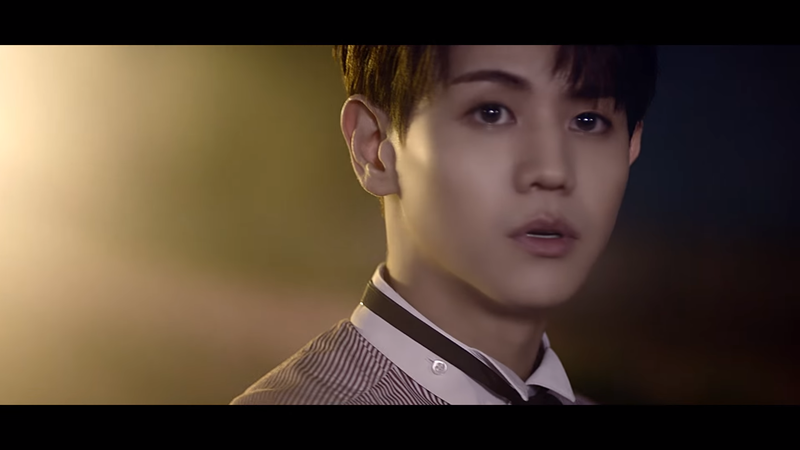 I hope that you enjoy this little theory of my and that this made you understand the MV a little more. 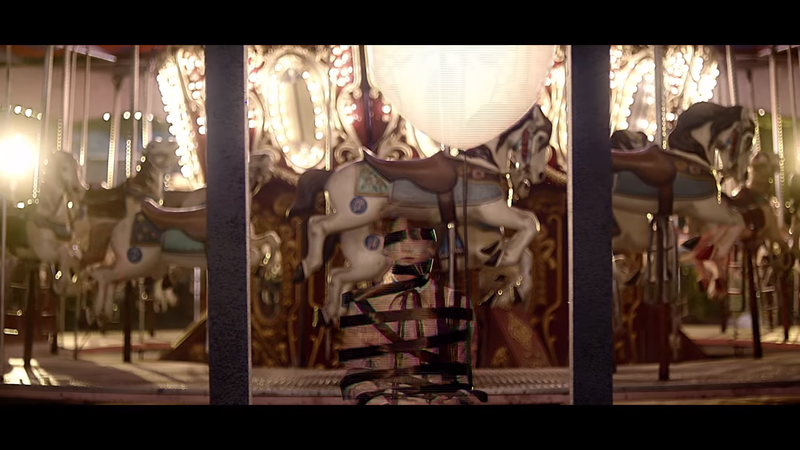 I apologize if this made the MV more confusing for anyone. 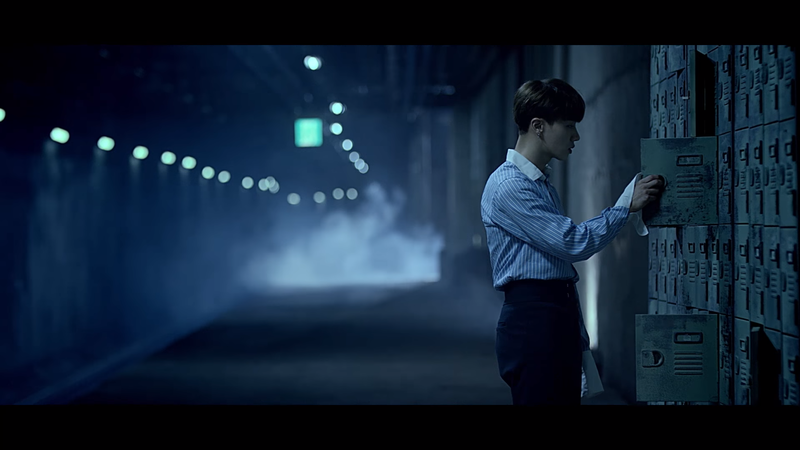 I would like to say that this is just my Hypothesis and what I believe the story behind the MV is. 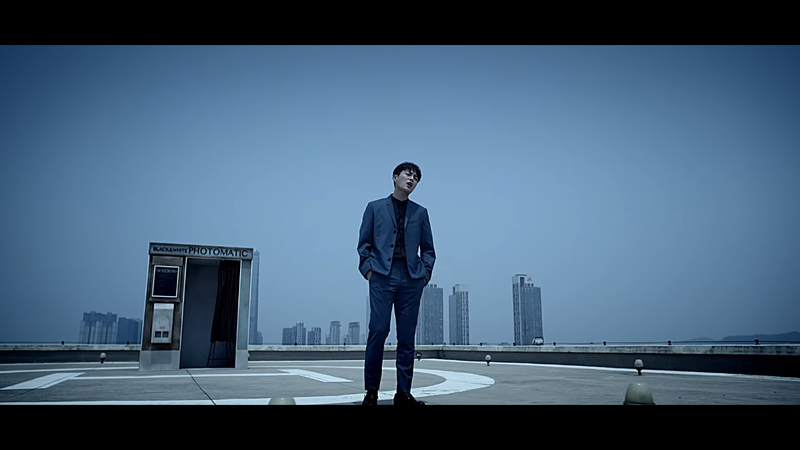 I hope everyone have a great day today and thank you for reading this little post.